Following the release of last year's full-length A Forest of Arms, Ontario folk outfit Great Lake Swimmers have lined up a new EP to lead into a lengthy list of live performances. A day before its release, Exclaim! 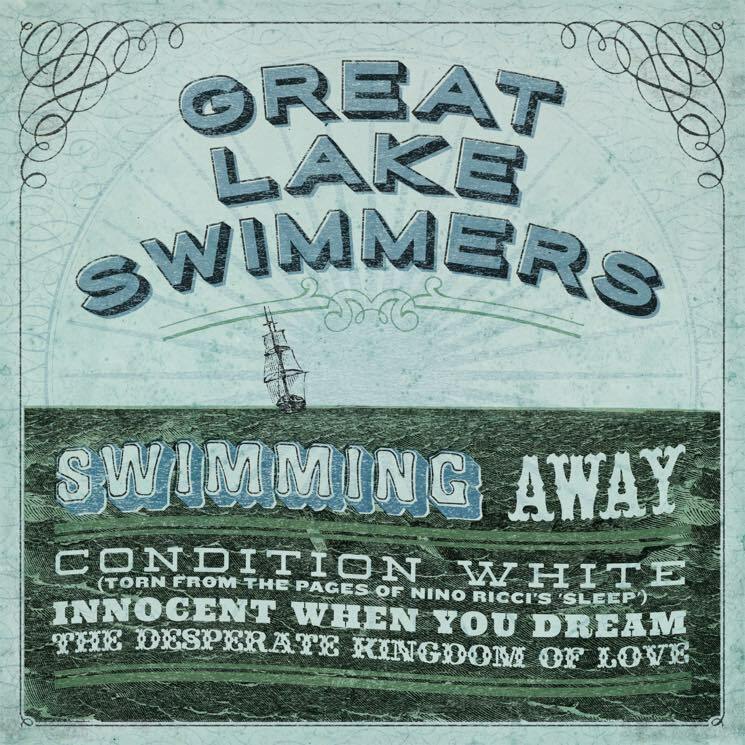 is giving you the chance to hear the band's Swimming Away EP in its entirety right now. In addition to the the title track, which premiered last month, the rest of the four-song set includes another original called "Condition White," as well as covers of Tom Waits' "Innocent When You Dream" and PJ Harvey's "The Desperate Kingdom of Love." March and April will see Great Lake Swimmers co-headline a run of dates with Elliott Brood before they take off to Europe through April and May. In August, the crew will head to Salmon Arm, BC, for the three-day Salmon Arms Roots & Blues Festival. Before Swimming Away officially arrives through Nettwerk tomorrow (March 25), give it a listen in the player below.